77 1/2 ton Heavy Half chev 454,350TH,3.07rear driven 6 YR now changed back to 85 monte carlo SS 305 Motor as of 2004, june,30 inter changed to 84 GMC style, flatbed with a 98 van bumper. This is the inner tube, it had a foam seal at bottom help keep the weather out. It pretty much fell apart when I touched it. So used 1-1/4"(32mm) wide 1/4"(6mm) thick closed cell foam tape one sided stick ( stop draft window/door seal by TAGO ) weatherproof and durable #113-273 / TA78626. You can use something like this. I got this at Home Depot. After cleaning sandblasting painting the bottom with high gloss black enamel paint. This is the only part that at the bottom out side the rest just needs light oil or rust check or something the same. This is the Shift lever Housing cleaned repainted. This pic you can see the small spring left in(Do not take out unless broken very week). It sits below the shift lever on the tip. 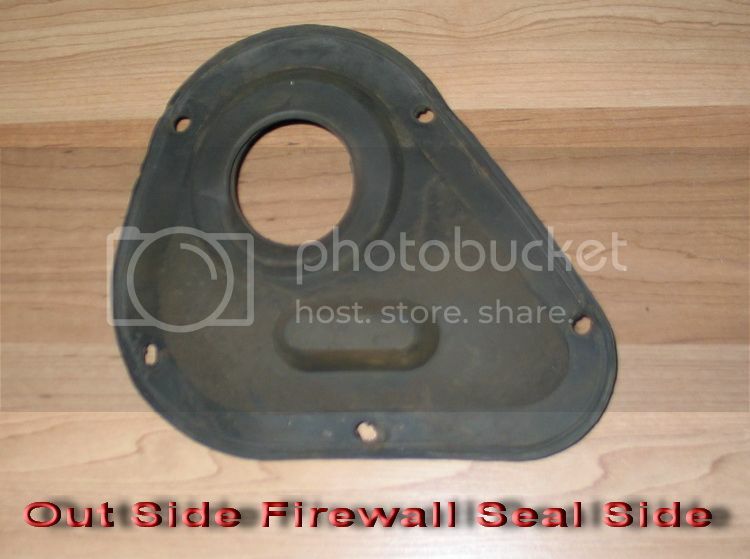 This is the lower Steering firewall seal. It was just a little bit hard on the out side & on the outside edges. To see if I could bring it back a little I used glass bead that was really used all most a power to blast it. It will clean most of the rubber off, (You should see if it is usable after, then up to you at this point). Now I did not clean off all the factory under coating. I'm thinking of just re coating over the same area like factory did. Tools you going to needed do work on the Column. Special tools that most may not have will have to buy. Inverted Torx bit #E8, Pivot pin remover. 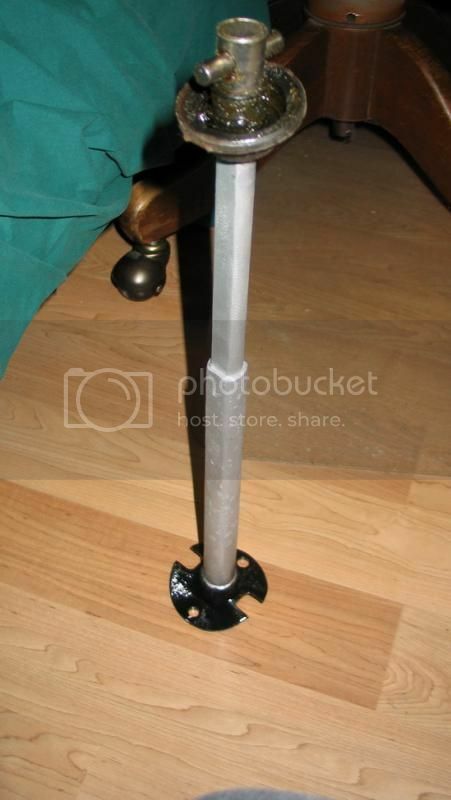 Special tools that most may not have will have to buy or you can make them yourself. 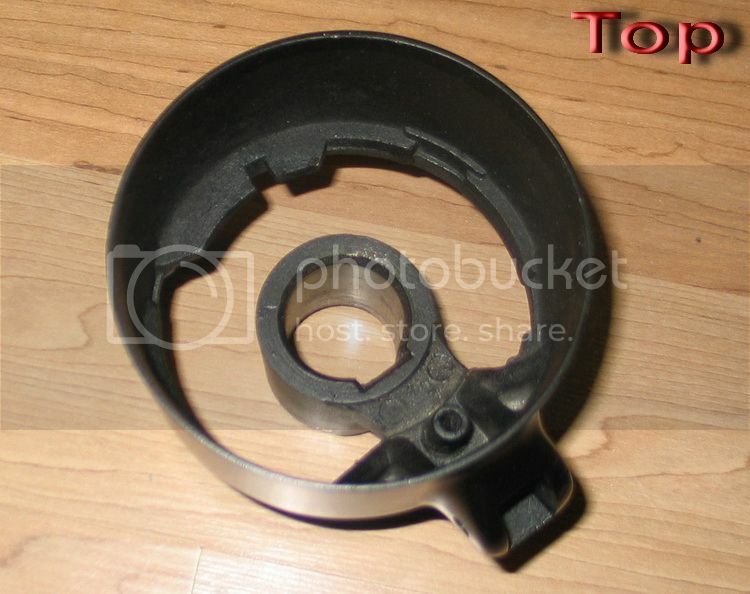 Steering wheel puller, Lock plate remover/installer. Ratchet, 13/16 socket, 7mm socket, Small picks, 1/4 socket, Needle nose pliers, Small chisel, Small brass hammer. 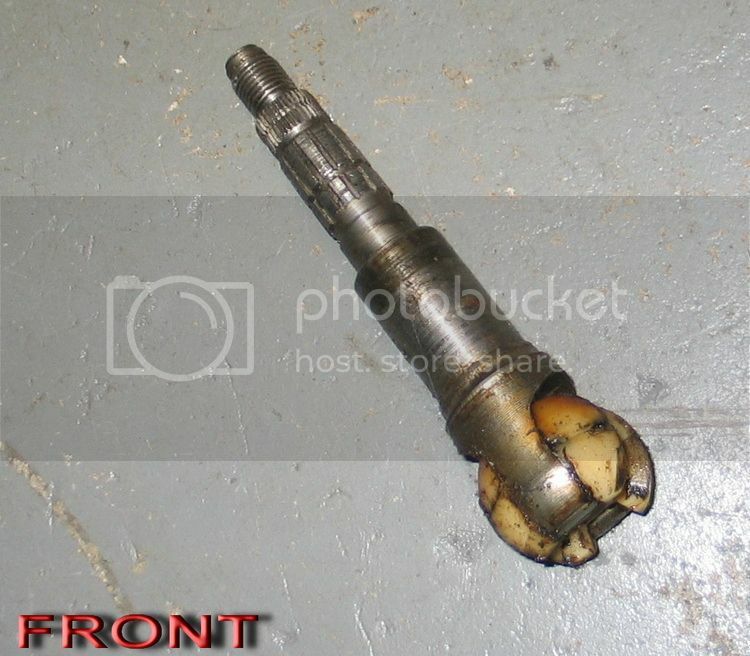 ** Red Locktite thread locker, Wheel bearing grease. Your going to have to start by. Remove the horn button contact wire, by pushing in (down on it) hold it turn it counter clockwise. 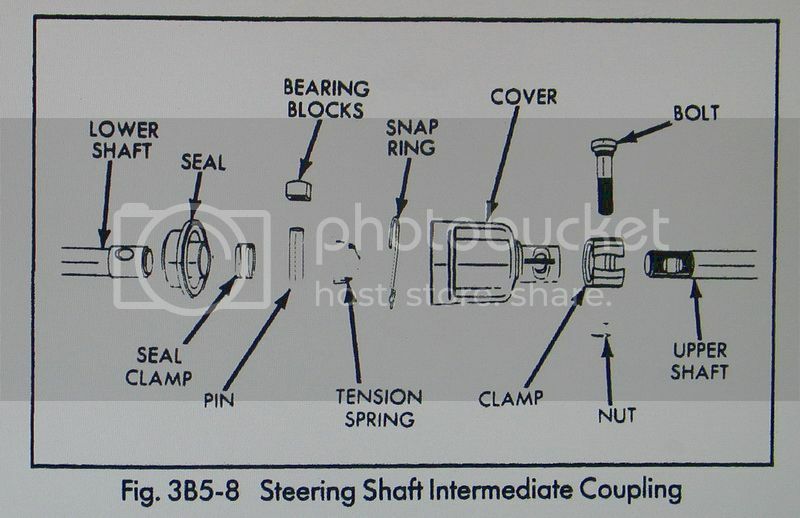 Remove the steering shaft center safety clip. 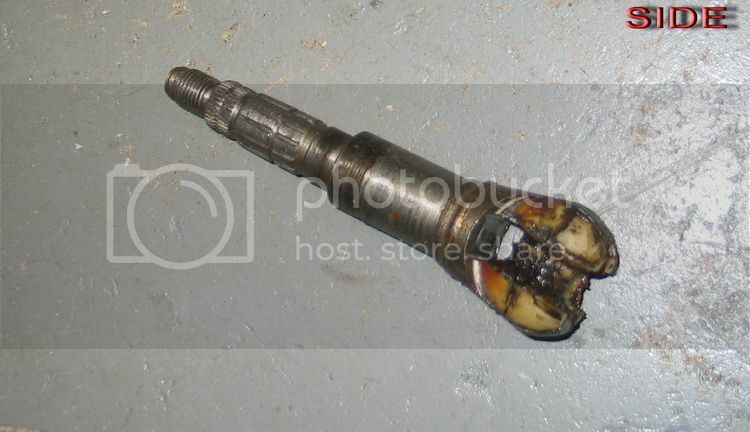 Remove the steering shaft nut. 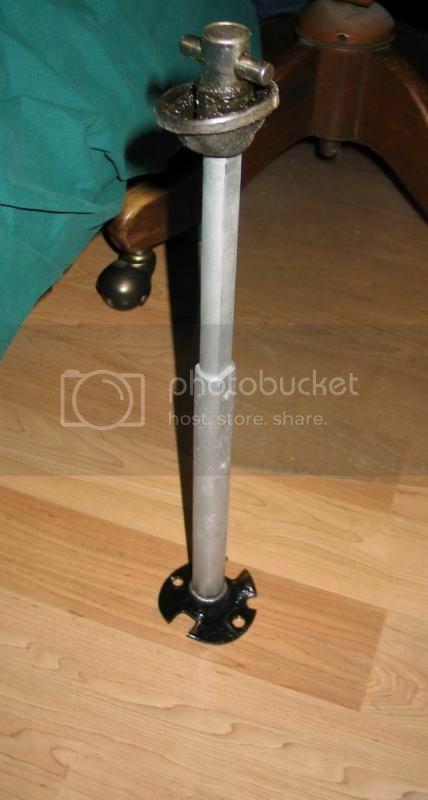 Make sure the wheels are straight, Now it’ time to use the Steering wheel puller / or make your own tool . I have made my own and bought my own tool too. Mark the Shaft and Center of the Wheel to line up the mark when you put it back on. 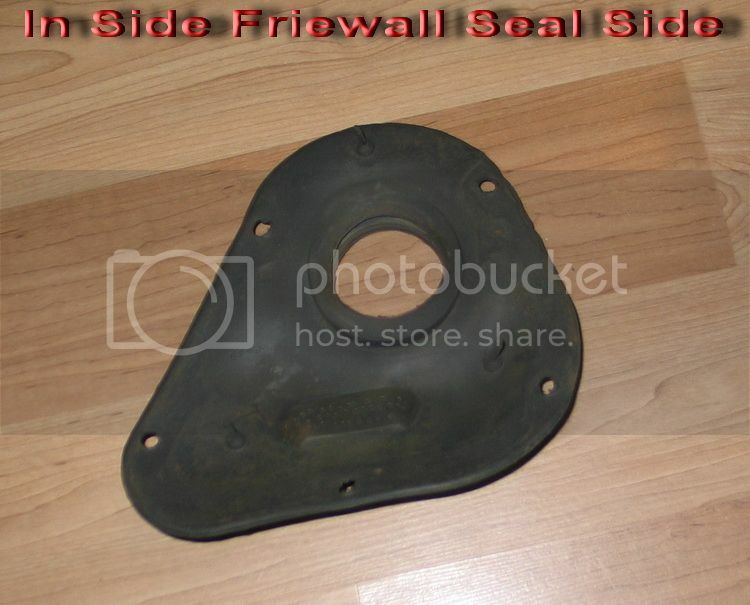 Remove the lock plate dust cover. The Plastic cover has three slots pop lightly pry up. a small flat blade screwdriver and a small pick to remove the locking ring. And slide it up the shaft till it’s off. Remove the turn signal canceling cam by lifting straight up on it. 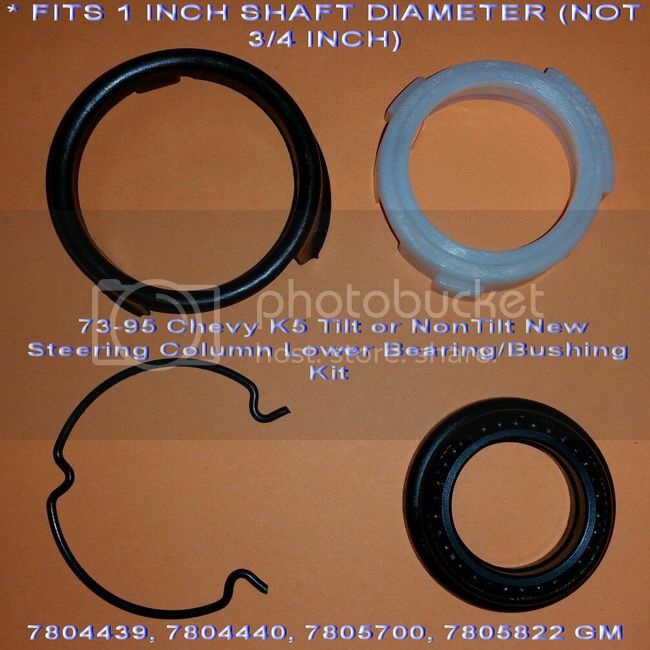 Remove upper steering column shaft bearing spring same way. Remove the three screws securing the turn signal switch to the upper bowl assembly. Remove hazard warning switch button (One Phillip-head screw) do not looses the spring. Remove Wiper arm leaver(shaft) just grab it & push in on it hold it turn it. Remove the plastic lower column cover 4 Phillips screws #2, once the screws are loose oh first work the rubber ring up the shaft. Back cover just lift it straight up toward you. Remove the metal lower steering column cover. 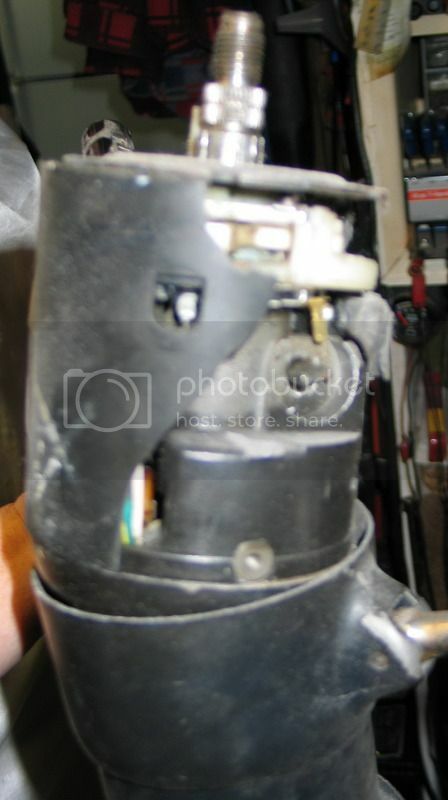 Locate & unplug the turn signal switch and wiper switch electrical connectors. Pull the turn signal switch and wiring towards the back of the truck as far as it will go. Removing the lower steering column support bracket is NOT required. Let the switch hang free. Going back to the upper Column. As the cam assembly removed you now can see the three screws securing the turn signal switch to the upper bowl assembly. Remove the lock cylinder retaining screw using #20 Torx bit. Time to pull the lock cylinder “straight out”. 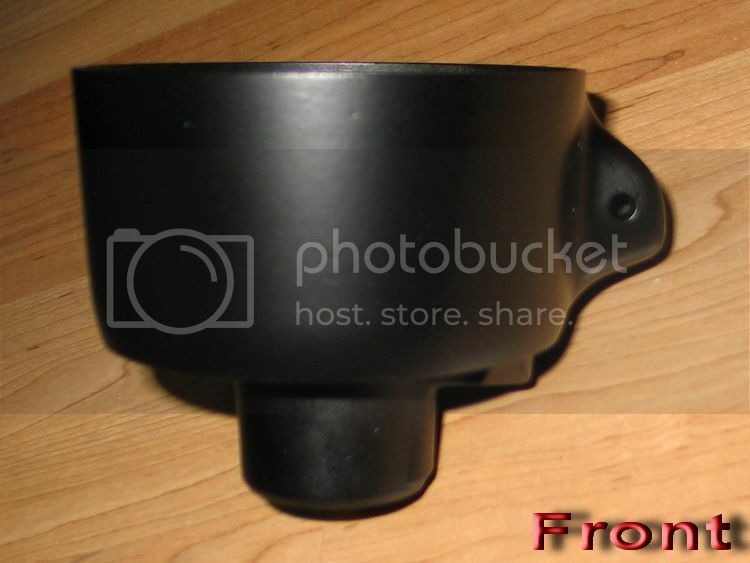 Remove the three screws securing the lock cylinder upper bowl assembly using a #30 Torx bit. Pull the upper bowl assembly back while pulling on the wiper switch then the wiring up carefully upwards (there is some play in it) and let hang free. 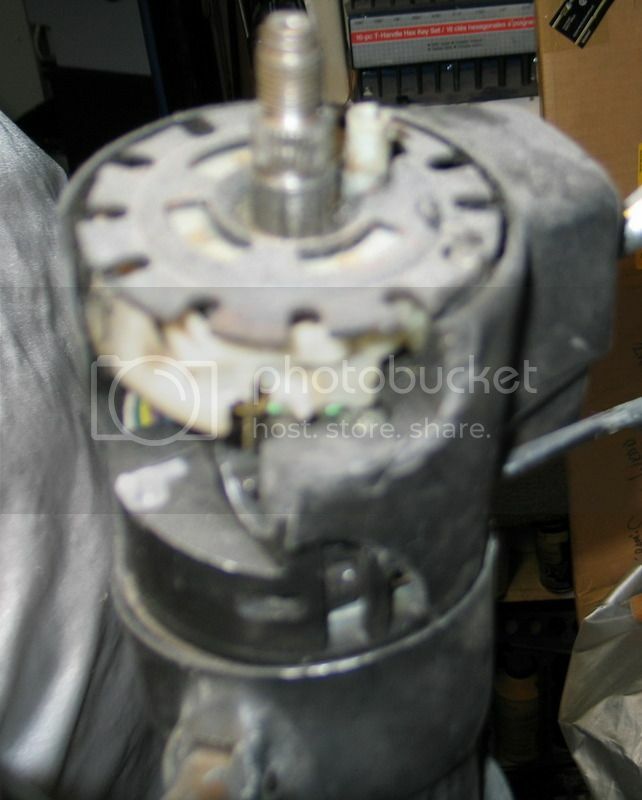 Remove the dimmer switch actuator rod and sector cover housing. Remove the screw securing the shaft lock bolt spring using a 1/4 socket. Unhook the spring from the shaft lock bolt, then remove the spring. Remove the bolt. Pay particularly close attention to the lock bolt, spring, ignition rack & sector positions for Re-assembly. Remove the key-in ignition cylinder the warning buzzer switch and spring. Push the tilt wheel spring retainer in with a #3 Phillips screwdriver or large flat blade screwdriver & a turn counter clockwise & remove spring, retainer & spring guide. 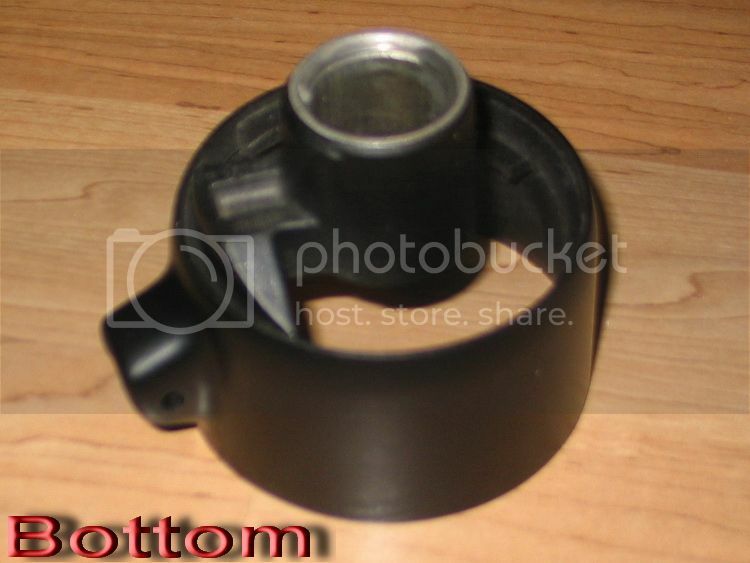 Remove the column housing by removing the two pivot pins. Time for the Specialty tool by using the Pivot Pin Removal Tool. Remove the pins from BOTH sides. 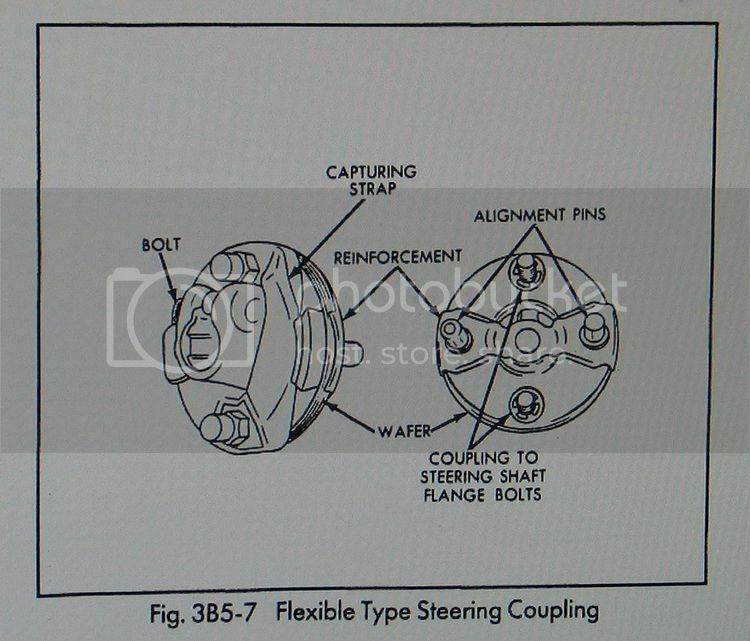 Remove the upper steering shaft bearing retainer. Remove the upper steering shaft bearing race. Reinstall the tilt lever & pull toward you to unlock the housing assembly from the shoe assembly and pull the housing back and away. Remove the tilt lever again. The four screws that causing the problem are now accessible. Remove each screw one at a time, clean the threads, apply a few drop of Red Locktite thread locker and reinstall and tighten. Now this time & point you have a assortment of parts to reinstall. It is a good idea to clean them up before reassembly. Clean the parts brake-clean (or parts wash bin if you have it) and a rag. It is a good idea to coat the parts and surfaces with bearing grease for lubrication and rust barrier the parts that will not stay that will hold then in place. Install the ignition rack, (making sure that you have attached it back to the ignition switch actuator rod) reinstall the tilt lever and work the column housing back into place. Line up the pivot pin holes and reinsert the pins by using a small brass hammer to tap then in place. The dimmer switch may need realigning with actuating rod. Reinstall the tilt wheel spring guide, spring & retainer using your #3 Phillips screwdriver or large flat blade screwdriver and depress & turn clockwise. Reinstall the ignition switch sector, lock plate bolt & spring. Reinstall the upper shaft bearing race and retainer. Reinstall the dimmer switch actuator rod cover housing making sure the rod and actuator are aligned. Reinstall the upper column housing and tighten the three screws. Insert the ignition lock cylinder and confirm that it is installed & working properly before proceeding. If everything works fine, install the retaining screw. Using a small pick or screwdriver, locate the little plastic tab on the bottom of the lock cylinder and push it upward to install the key-in ignition warning buzzer switch and spring. Install the turn signal switch, switch actuator & hazard button. Install the cruise switch lever. Reinstall turn signal switch actuating arm and upper steering column shaft bearing spring. Reinstall turn signal canceling cam. Reinstall the lock plate now in reverse order as you took it apart. Install the dust cover by snapping back in place. Reinstalling the steering wheel, nut, ring and button. Reconnect the turn signal switch and wiper switch electrical connectors. Reinstall the metal lower steering column cover. Reinstall the plastic lower column cover. This might be better then my write up. And you need 4 nuts to fit those bolts. Drill 9/16” center for the shaft bolt go throw, and you can use the steering wheel nut to depress. Drill two holes for the bolts to go throw each side of the center hole so to press on the plate. Be care full not to strip the shaft. Once the nut good then tighten it should start to press the Lock plate down. 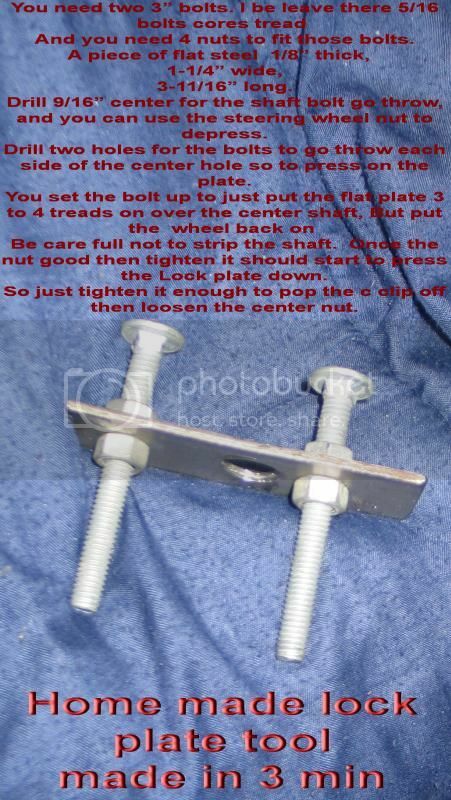 the bolts if you have to so you do not strip center nut. This Is going a little slower then I thought waiting on some parts as this is a broken 87 tilt column as it out of a stolen truck keep busy working on what ready or the plan of the day. As I try set up in info for people to. This what the 87 Broken Colum looked like after truck was stolen got back. Most the upper plastic cover was broken & the inner steel upper is busted up. I know this has slowed down I got a few new part that I'm trying. I got a few replacement parts to. As I jump back forth for jobs parts. try to up date.